I’VE always wanted to be a tour guide. Actually, that’s a lie. I’ve always wanted to be a journalist, but I thought being a tour guide might be a bit of fun if – oh, I don’t know – the newspaper you worked for went into receivership, say, and you had a mortgage to pay. 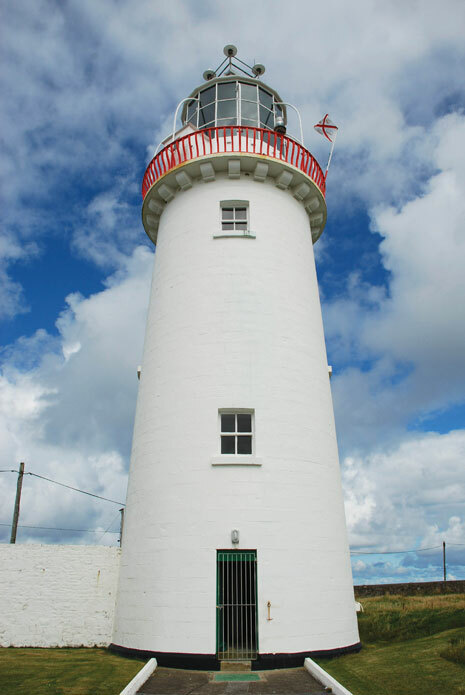 And so it came to pass, when Loop Head Lighthouse opened to the public in July. My new job necessitated hours of study about Fresnel lenses, daymarks and mercury baths, but all that swotting was not enough to dispel a bowel-loosening nervousness the first day. The first tour group eyed me sceptically as I led them to the top of the tower, wearing a fetching high-vis jacket and finding it hard to breathe. I told them about Loop Head’s unique flashing sequence, and how every lighthouse is different, and that’s how mariners know where they are. These factoids had been new to me, and I presumed they would be edifying for others. But it turned out that practically everyone on that first tour had spent 80 or 90 years in the merchant navy. “What’s the candle power of the bulb?,” inquired one elderly, salty-looking man. I looked away toward the west, into that vast blue space that both divides and connects us with the Americas, and mumbled that I didn’t know. “What’s that, love? What did you say? Speak up,” he said, tapping his wooden leg and adding, “The name’s Ahab, Captain Ahab”. “I don’t know,” I whispered, already reconsidering the wisdom of honesty vis a vis the best policy. “Yes, yes, those are the Blasket Islands,” I declared, having abruptly realised that you don’t have to be certain, you just have to be convincing. Amazing that it took one day as a tour guide, and not 20 years in journalism, to learn that lesson. In later days, having filled the gaps in my knowledge, I became shrill and emphatic. “You there at the back, you’re not listening!,” I would bellow at startled tourists. I began locking the door of the tower and subjecting visitors to multiple choice exams after their tour. If they got the answers wrong, I took to hitting them about the head with rolled-up copies of ‘Afloat’ magazine. Children grew tearful at the sight of me. More to the point, I began to take possession of the lighthouse itself. All it took was a series of mornings approaching that lonesome tower – for so long a saviour of lives and now increasingly, tragically, obsolete, thanks to GPS – to engender a sort of emotional ownership, a protectiveness. If anyone climbed to the top of the lighthouse and was not surprised by joy at the experience, I took it personally. With very few exceptions, though, tourists are good-natured, patient, willing to be made laugh and eager to absorb information. But blow me down, they’re a motley crew. One visitor had dentures so huge and so bright that I worried they might constitute a danger to shipping. Discreetly I positioned myself between the dentures and a large container vessel that was at that moment entering the estuary. A person with her own lighthouse has to think of these things. One of the more memorable visitors was a blind woman who feared she might not be equal to the spiral staircase. So badly did I want this woman to reach the top of Loop Head Lighthouse – to ‘see’ it – that I would have shut down the entire operation for as long as it took to get her there. She got there. One afternoon it was so foggy that the light came on in the lighthouse, beaming out its age-old warning to sailors. I led a succession of visitors to the top, where we could see nothing but the light – and each other.